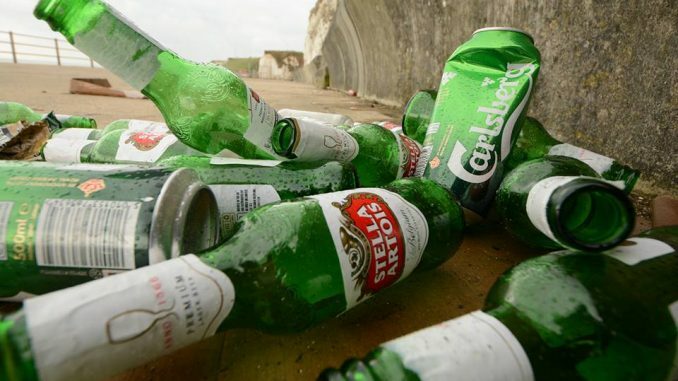 Cabinet members from Thanet council will discuss plans to introduce a Public Spaces Protection order (PSPO) for alcohol control across the isle in a bid to crack down on street drinking and antisocial behaviour. The PSPO, which will cover all of Thanet with the exception of Monkton and Acol. will mean a restriction on carrying and consuming alcohol which is deemed to be causing, or may cause, anti social behaviour, when asked not to do so by an authorised officer. If agreed, the PSPO will replace the Designated Public Places Order relating to alcohol control, which expired in October 2017, due to the introduction of PSPOs. If approved the order will come into force on November 16 for three years. “All persons are prohibited from consuming alcohol and must dispose of any vessel believed to contain alcohol, when asked to do so by an authorised person, when it is believed that they are either committing or likely to commit Anti-Social Behaviour in a public place. a) To not consume alcohol or anything the authorised person reasonably believes to be alcohol, in sealed or unsealed vessels. b) To surrender anything in the person’s possession which is, or the authorised person reasonably believes to be, alcohol or likely to be used as a container for alcohol. A report to Cabinet members says: “Thanet is the fourth most densely populated district in Kent (ONS 2015) and has seen a 19% growth in Thanet’s visitor economy (Visit Kent 2016). areas. It is a growing tourist destination with a number of popular areas to visit and socialise in. “The council works with other agencies to foster a safe and sociable experience when visiting or going out in the district. 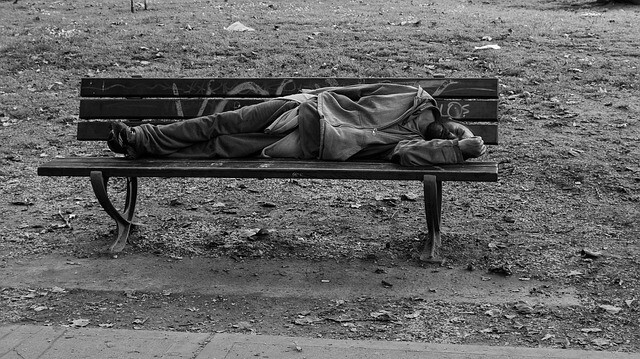 Residents, businesses and elected members have reported anti social behaviour due to street drinking and alcohol related nuisance in the urban areas, particularly of Margate, Broadstairs and Ramsgate. 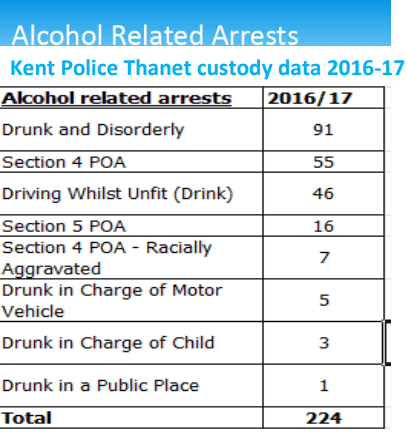 The report says Thanet council and Kent Police regularly receive complaints regarding anti social activities associated with alcohol consumption. This has included reports of street drinking and unauthorised events such as beach parties. Thanet has higher levels of hospital admissions for alcohol related diseases than any other district. The 2014 annual public health report published by the Kent Public Health Observatory cited alcohol as an issue for Kent and Thanet with the number of people dying prematurely from liver disease in the county rising 43% since 2002. During 2014-15 there were 809 recorded hospital stays related to alcohol. Between 1012-15 there were 46 under-18 alcohol related admissions. 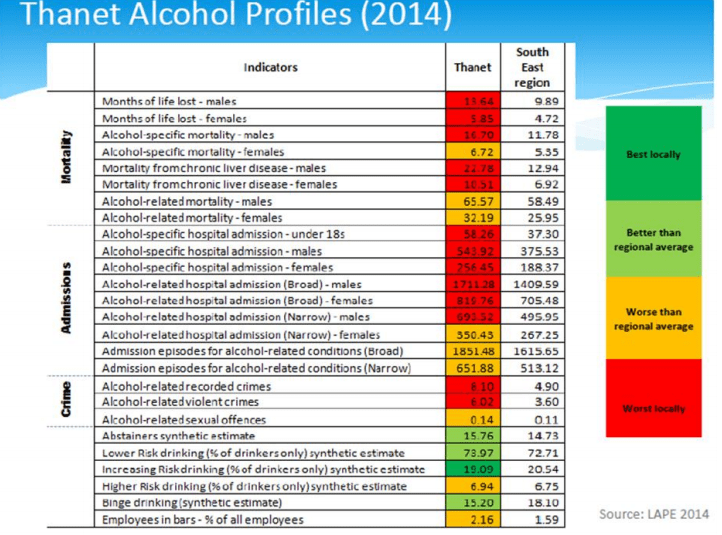 The number of people being treated for alcohol related conditions has also increased, particularly in Thanet, with the most recent alcohol and liver disease profile for Thanet showing higher levels of alcohol related mortality and hospital admissions and significantly higher levels of mortality from chronic liver disease compared to the rest of Kent. 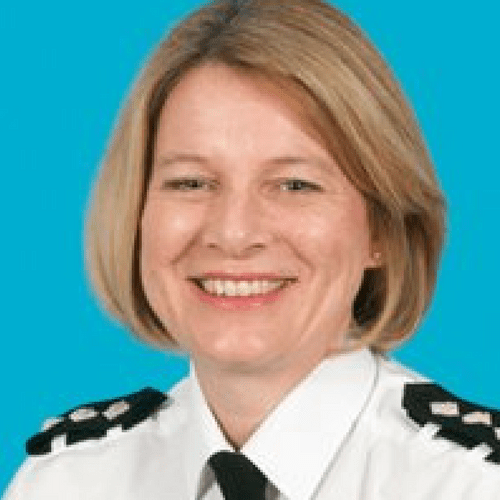 The order is backed by Thanet District Commander for Kent Police, Chief Inspector Sharon Adley, who says: “I am aware that a great deal of police time and resources are used to deal with alcohol related anti-social behaviour within the Thanet area which clearly has a detrimental effect on the quality of life for those in the local community. Anyone who breaches the PSPO rules could receive a fixed penalty notice of £100. PSPOs may be enforced by police officers, police community safety officers and any officers designated by Thanet District Council.